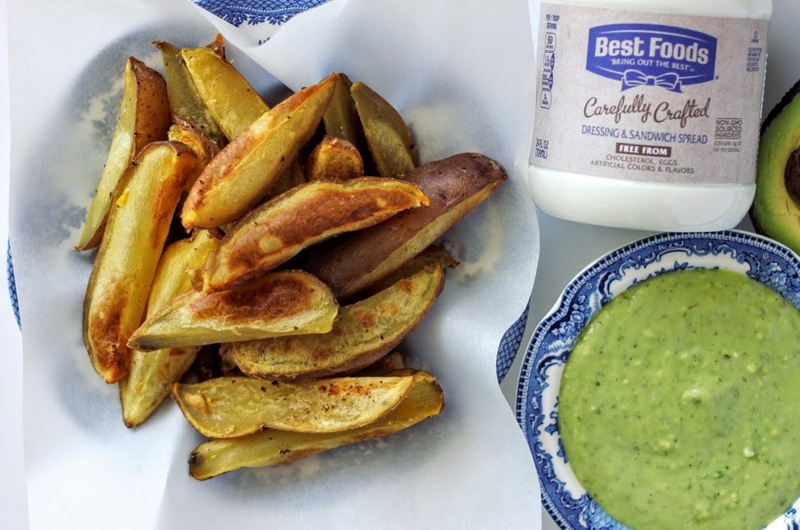 What we Love about this Recipe is that Jessica makes crispy, crunchy, guilt free fries – the perfect addition to your summer menu. Even better, these pair perfectly with a simple dressing using Carefully Crafted, Vegan-Friendly dressing and spread. Your favorite side with a healthy twist. Boiling the potatoes first helps them crisp up in the oven without oil. I pair avocado with coconut cream and Carefully Crafted dressing to make a sauce that tastes indulgent while being totally free of cholesterol. Put a pot of water to boil. Scrub and wash the potatoes and peel if desired (I like to leave the peel on). Cut them each in half, and each half into thirds or fourths, depending on how large the potato is. When the water is boiling, add the sliced potatoes and cook them in a rolling boil for five minutes. Drain and add back to the pot. Add equal amounts of salt, pepper, and garlic powder, according to preference. Mix until potatoes are evenly coated. 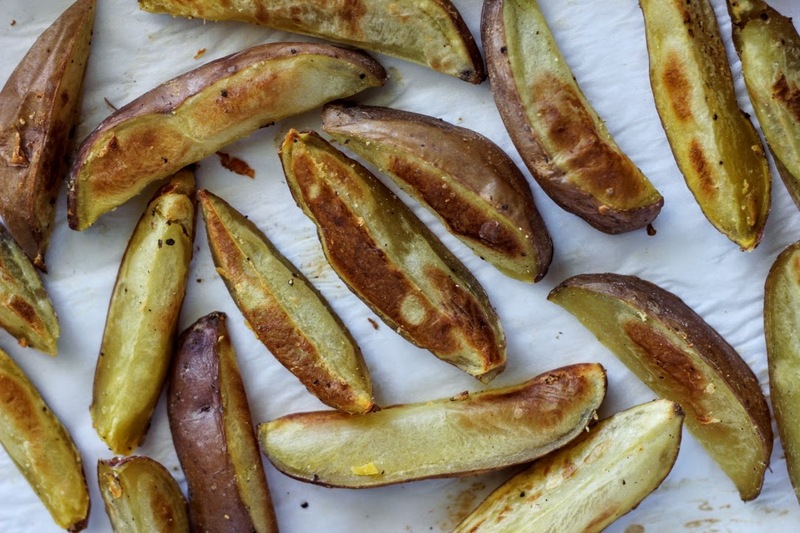 Line a baking sheet with parchment paper and spread the potato slices on evenly. Bake for 25 minutes, then flip and bake for another five minutes. 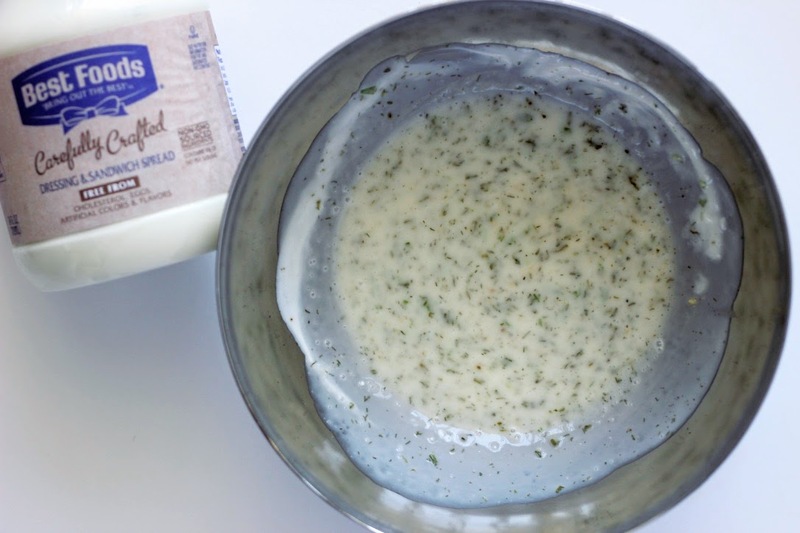 Mix first three ingredients together in a small bowl. Add all the spices plus the green onion. Stir. Then add the mashed avocado and mix well. Dip those fries in and savor every bite. This article was created in partnership with Best Foods and FeedFeed. All opinions expressed are my own.